One of the more commonly asked questions I receive during my travels is “What was it like to play with Jaco?” In a word, it was thrilling. A general rule of thumb in music is that the company we keep on the bandstand or in the recording studio can help propel us to ever-higher heights of musical excellence and understanding. And the experience of being lucky enough to work alongside Jaco provided all of that plus more. 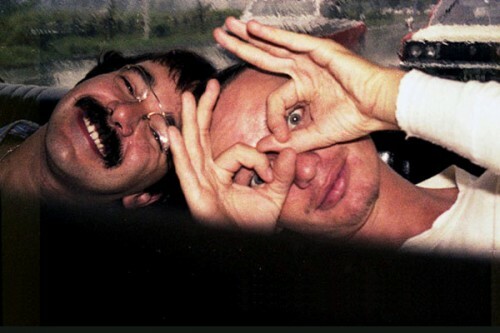 Jaco Pastorius was certainly the brightest shining star in the constellation of musical personalities that I’ve encountered, bass or otherwise, and he made certain that our collaboration was always fun and challenging. I joined the group Weather Report in 1978, thanks to his recommendation that they hire me, based on his hearing me play one night in a jazz club a year earlier. He was a good friend. And his innate and studied sense of time, as well as his rhythmic execution, was the clearest and best articulated imaginable. The fact that Jaco started off as a drummer when he was young, and was an avid and astute listener, gave him an understanding of the beat that few bass players will ever match. The reference to “listening” is an important one. Jaco counted Frank Sinatra as well as Bernard Purdie as his influences; Johann Sebastian Bach and Igor Stravinsky were every bit as important to his education as were bassists Jerry Jemmott, Chuck Rainey, Ron Carter and James Jamerson. Jaco was well educated, and he was completely instinctive. He was serious, and he was fun. He could play rock-solid rhythms, and he could lyrically “sing” on the bass. Meanwhile, his 16th-note execution was unparalleled. He could play in the style of many of his heroes, and yet he conceived, created and composed a language on his instrument that was as revolutionary as it was evolutionary. What was it like to play with Jaco? It was, like, one lucky 4-year-plus moment for me. I’m sorry that we cannot enjoy the mighty musical magic that he would have provided had he lived a longer life. Ultimately, the question of “what was it like…?” only makes me miss him all the more. Of course, Jaco’s influence continues to extend far and wide, and any number of bassists I’ve worked with since those halcyon days of Weather Report bear his musical mark. For a while, it was difficult for me to listen to most anyone else play the electric bass, especially the fretless form of the instrument, without mentally comparing them to him. What was it like to play with Jaco? It was, like, a real groove. Jaco Pastorius: “Mr. Gone,” “8:30,” “Night Passage” (Weather Report / CBS-Sony), “Word of Mouth,” “Invitation” and “The Birthday Concert” (Jaco Pastorius / Warner Brothers); and, of course, Jaco’s debut album on Epic, plus his collaborations with Joni Mitchell (especially “Hejira” and “Mingus”), and the classic Weather Report recording “Heavy Weather” with Alex Acuña on drums. Personal recollection #1: Jaco was already planning his “Word of Mouth” album back in 1978 during my first tour with Weather Report. The band ran into the New York Philharmonic in Osaka, Japan, as we were all staying in the same hotel. Having gone to the opening concert of their tour, Jaco invited legendary flutist Julius Baker to his room, along with a couple of the Phil’s esteemed percussionists, to play them some music and specifically to ask Julius Baker if he would consider playing flute on an upcoming album. Joe Zawinul stopped by the room, and while Jaco was preparing to ask Julius the BIG QUESTION, Zawinul was busy getting into a friendly argument with maestro Baker concerning who could get the “better flute sound”: Julius on his flute or Zawinul on his synthesizer! Jaco pulled me out into the hallway, exasperated and saying “I can’t believe Joe is THAT rude!” But, to be honest, Julius Baker thought it was funny. And, of course, he agreed to play on Jaco’s album … the orchestral tracks wound up being done in Los Angeles, and the L.A. Phil’s Jim Walker as well as Hubert Laws did the flute tracks. The accompanying photo is of Jaco and me and NY. Phil percussionist Arnie Lang … and, I remember it VERY CLEARLY: Jaco was playing the opening vamp of “John and Mary” for Arnie. I felt lucky to be there, hearing the piece for the first time (for me). Arnie later remarked to me that it reminded him of Aaron Copland! I just watched “Jaco: The Film”. Jazz Fusion, Weather Report, Jaco Pastorious, Return to Forever and others had a profound influence on me at the time it was developing as it’s own genre. I really appreciated Mr. Erskine’s kind and insightful view and perspective of Jaco Pastorious, “the worlds best bass player”. Very special, very special time and relationship. Peter you and Jaco with Weather Report…provided huge inspiration for a generation of players. I’m glad you were there with him for those days….how fortunate to be there at the right time with the right set of skills. I only wish somehow we all could have done something to help him through those difficult days. God Bless Jaco on his journey…he certainly left his mark here. 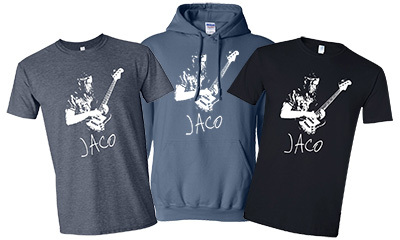 Jaco – the man the man calls the man!!! Wonderful to read these recollections Peter! Great insight Peter . I saw you and Jaco with Joni MItchell @ Forest Hills back in 1979 . Pat Metheney , Lyle Mays, MIchael Brecker , Don Elias . Incredible lineup . Pretty amazing show . Thanks , Peter, the upcoming musicians got to know more positive details about him..!!!! Great inside stuff Dr.! A lot of fun to read….continued success! Thanks, Mr. Erskine for sharing your thoughts and memories.